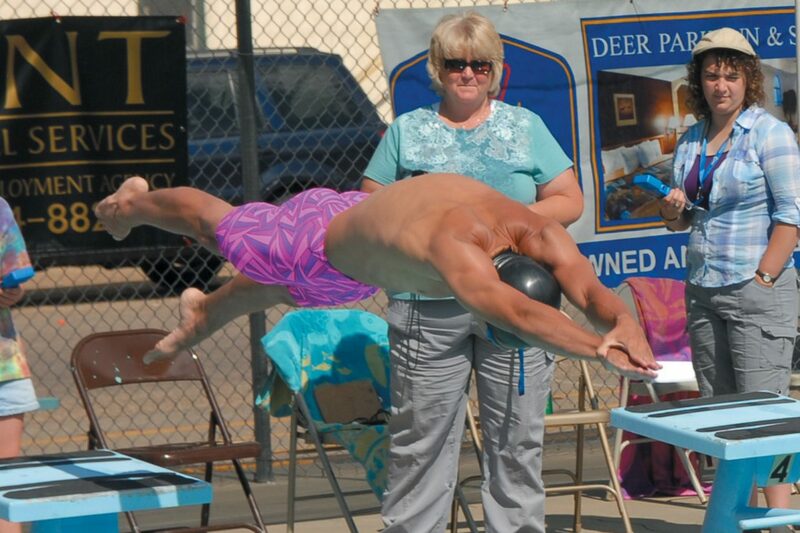 Craig Sea Sharks swimmer Matt Hulstine takes off the blocks at the Craig ABC Swim Meet earlier in July. Hulstine swam at the USA Swimming Speedo Champions Series in Gresham, Ore., last week, and is a half-second away from qualifying for the USA Swimming Junior Nationals. —Meghan Francone, Sea Sharks swim coach, about the competition at the USA Swimming Speedo Champions Series last week. With the summer swimming season winding down, members of the Craig Sea Sharks are finishing up a fabulous season. The Sea Sharks, often-outnumbered in many of the team-scoring meets they participated in this summer, have now been able to show off their individual talents at regional and state swim meets, where team scores do not matter. Matt Hulstine, 18, swam in the USA Swimming Speedo Champions Series in Gresham, Ore. last week. The Speedo Series made 19 stops across the country in 2012 and features some of the top talent in the U.S.
Hulstine is attending these postseason meets in an effort to qualify for the Junior Nationals Aug. 13-17 in Indianapolis, Ind. Hulstine swam the 100 and 200-meter breaststroke at Speedo Sectionals, and qualified for the finals in both events. After some rocky swims in the preliminary rounds, Hulstine said he was pleased after the finals. Hulstine dropped almost a second off his best time in the 200-breaststroke, a result he was happy about. “That’s a decent amount of time when you get to this level of swimming,” he said. In the 100-breast, an event in which he is closer to qualifying for Junior Nationals, he was unable to improve on his best time. Hulstine said he needs to drop half a second in order to qualify. He will have another chance. Hulstine is swimming again this week at the Western Zone Senior Championships Aug. 2-5 in Clovis, Calif.
Another Sea Shark, Eryn Leonard, competed at the Colorado State Long Course Championships at the United States Air Force Academy. In her final meet of the summer, Leonard swam five events, and outperformed her qualifying times in each. She placed in the top 15 in the 100- and 200-meter butterfly and the 50-, 100-, and 200-meter freestyle, against swimmers from across the state. In the 100-meter butterfly, Leonard was third in 1:07.9. Francone said Leonard was at her best at the right time of the year. Leonard’s next competitive swimming will be when the Moffat County High School swim team season begins in November.